Versatile standard macro lens with advanced technologies. The AF-S Micro NIKKOR 60mm f/2.8G ED combines legendary Micro NIKKOR optics and advanced Nikon lens technologies for stunningly sharp close-up and macro images up to life-size (1:1 reproduction ratio). It produces beautiful bokeh (background blur) at its wider aperture settings, and with its wide focusing range, the AF-S Micro NIKKOR 60mm f/2.8G ED is not limited to extreme close-up photography—achieve great results with nearly any subject. Discover a world of extreme clarity and unseen detail with close-up shooting only achievable with a macro lens. The AF-S Micro NIKKOR 60mm f/2.8G ED is a compact, versatile macro lens capable of producing stunning sharpness with beautiful bokeh (background blur) in a wide range of focus distances from infinity to life-size (1:1). Thanks to a broad focusing range and a wide f/2.8 maximum aperture, the AF-S Micro NIKKOR 60mm f/2.8G ED can be used for more than just close-up shooting. Create truly spectacular portraits and more with exquisite levels of detail. Nikon’s exclusive Silent Wave Motor (SWM) enables ultra-fast, ultra-quiet autofocusing performance with seamless manual focus override for increased versatility. 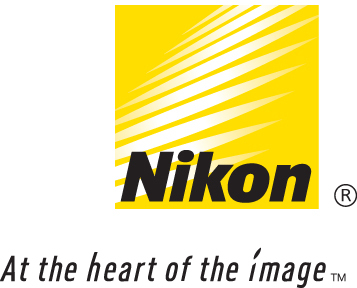 AF-S NIKKOR lenses feature Nikon’s Silent Wave Motor, which represents a significant advance in AF lens technology. An anti-reflective coating developed by Nikon that virtually eliminates internal lens element reflections across a wide range of wavelengths. Select NIKKOR lenses have a focusing mode which allows switching from automatic to manual focusing with virtually no lag time by simply turning the focusing ring on the lens. A NIKKOR lens in which only the internal lens group shifts during focusing. These lenses will be designated with the abbreviation IF on the lens barrel.